I do not know how far this will go the Project Soli, of the experimental Google Labs / Alphabet have known promising projects – as their glasses – who have had a brief tour, without touching the market. However, there is no doubt that what they promise to look good and can open a new way in interactions with gadgets. What is Project Soli? Because they are no more than a tiny radars that are able to recognize movements we make with our hands, hence we can interpret and create interfaces that do not touch anything. Today we bring you a first example called SoliType. Project Soli was introduced by Google in May last year and had not had much news about his wanderings, now we finally start to get development kits to some individuals, such as engineer Alex Bravo. Alex teaches video his advances with Google technology; it does so with a system capable of recognizing characters according to the movement – in the air – we make with your hands. It takes a mobile phone and radar platform under the hand and works SoliType. 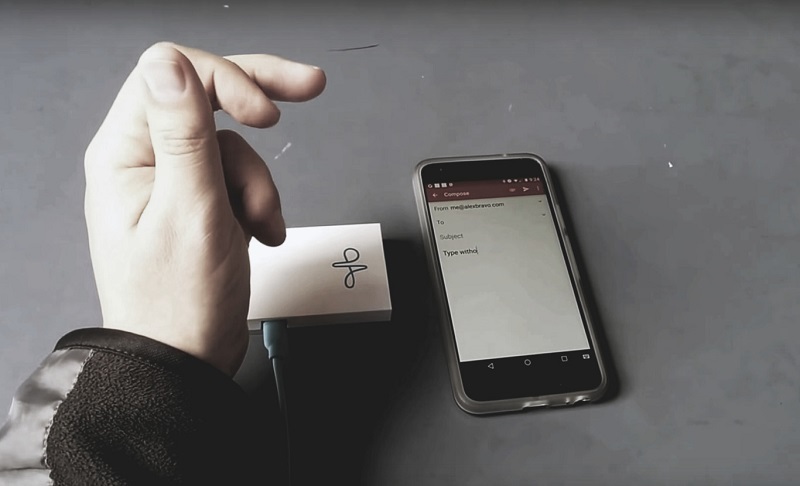 In short, we have a running on a mobile device, without touching the screen, a button, or dictate a word, keyboard simply by moving fingers. Some will not get pinched them new Bravo’s work in the past we had been teaching the same idea in Twiddler, but that project a physical hardware to interact necessary.